In June 2015, OSHA released a new interpretation of the retail exemption for Process Safety Management (PSM). 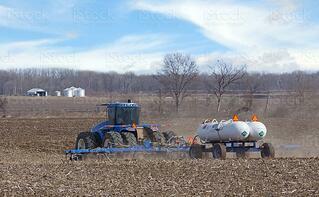 The interpretation rescinds the retail exemption for facilities handling anhydrous ammonia for sale as fertilizer. This places up to 3,800 facilities that sell anhydrous ammonia under PSM regulations. The first step is to perform a PSM audit. The audit covers one element of the PSM standard and provides a road map for implementing the other elements. An audit looks at each element in the PSM standard to determine the client’s implementation of those elements. The PSM audit will allow the client to identify which of their current practices qualify as “PSM practices.” A primary concern with PSM is that it is different from normal safety systems. While some practices may need improvement, well-developed safety programs, management commitment to safety, and a facilities existing RMP program will go a long way to implementing a PSM program. Additional cost savings can be realized by implementing PSM programs across multiple sites. Many retailers operate ammonia-handling systems close to their customers, the farmers. A geographical focus would allow central management of a PSM program that impacts all the operational sites. A PSM consultant will take the results of the initial audit and existing programs to develop the timeline necessary to implement the additional requirements the facility faces as part of PSM. The first steps, and the defined framework for full compliance should earn a facility the clarity and financial planning necessary with less concern for enforcement action from OSHA. Process Safety Management should not be viewed by those facilities handling hazardous chemicals as a regulatory burden. PSM is the gold standard for keeping employees, contractors, and the public safe from high hazardous chemicals. There are many ways to meet the performance standards under PSM. A PSM consultant can provide the best road map to maintain and improve safety practices while meeting the regulations. PSM is not an additional cost of doing business; it is one of the costs in keeping everyone safe. All references from joint letter dated September 23, 2015 from The Fertilizer Institute and Agricultural Retailers Association.